“I don’t want to be a Mum anymore!” I screamed at my husband: the defining moment of a row we were having about something insignificant, but had blown out of proportion. This sentence was the catalyst for my Post Natal Depression recovery journey. Those were the words that gave my husband, Shaun, a window into how I was really feeling about being a mum to our nine month-old son. He stopped still, embraced me, and gently told me that we needed to seek professional help. It’s no secret that many of us struggle in winter, the dark mornings and nights and dull overcast days can send even the most positive soul into the doldrums; with light deprivation the main cause of SAD the long nights and short days can take their toll. I realised a few years back that I have made a referral into community mental health or asked for help from my GP every year in Autumn/Winter for as long as I can remember. It’s pretty clear then that for me a personal action plan is necessary to help me fight the winter blues. When I was on maternity leave I found that particular year much easier, I could be out during the brighter parts of the days and felt good about making plans for the late morning period when I knew I could get more of the vitamin D I need from the sun. Once I returned to work the impending sense of doom that the change in the clocks brought about was palatable; I was SAD alright, really bloody miserable! There’s a sense of cabin fever that winter brings and now that I recognise it I am better prepared to treat myself well in winter. I’m on the train. It’s delayed. The rain falls relentlessly outside coating the windows in wet spidery patterns. I’m listening to a compilation of Klezmer music and feel very pessimistic about this, my first counselling session for eight years. I re read my last post. It sounds so urgent, desperate and floundering! But that’s how I was feeling – after I’d written that post my mood changed, I felt like a weight had been lifted – I had acknowledged how I was feeling and identified what I needed to do to change that! The next step was the list. I have priorities and responsibilities – these are the things that I’m most likely to resist because I HAVE to do them. I very rarely let myself enjoy them and see them as chores. Work is one of these things and I’m ashamed to say that my family feels like a chore sometimes as well – writing those words down is hard because I don’t want them to be true. I want it to come easy to me like it seems to do for so many others. I’m sat here working through our final wedding music choices. WEDDING. I am GETTING MARRIED to a MAN that I LOVE WITH ALL MY HEART, and I KNOW HE LOVES ME TOO. I’m also currently weaning off my anti-depressants. 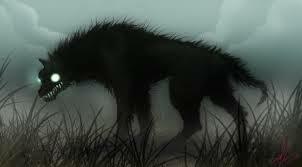 Now, here’s a fine example of my bittersweet companion, the old Black Dog. 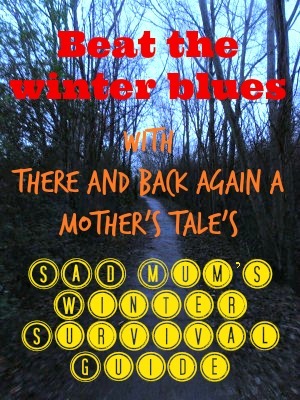 “Postnatal Depression recovery stories.” These were the only words I typed into my browser for weeks. My anxiety was incredibly high, I genuinely thought I was losing my mind. Instead of cuddling my son or enjoying his first smiles, I was scouring the internet for undeniable proof that I wouldn’t feel this way forever. Despite what my damaged mind was telling me, things did get better. I don’t feel that way anymore. So I’m posting my own story for any other mums who might be searching for answers now. My son was born at 1am on 27 Apr 2013 after 12 hours labour, an epidural and finally an emergency section. They had given me so much anesthetic at the last moment I became “blocked,” meaning I couldn’t move or feel anything besides my head and neck. I couldn’t hold my son for several hours, and I couldn’t feel when he was feeding. Looking back, things weren’t right from that very first day. I wasn’t feeling anywhere near the post-birth euphoria I had been expecting. But it wasn’t until 8 weeks later the cracks finally began to show. My son had just begun sleeping better, only waking for one feed during the night, but while he slept soundly at last I lay wide awake. The less I was able to sleep, the more I panicked during the day. How can I take care of him when I haven’t slept? What if I drop him down the stairs because I’m so exhausted? What if I fall asleep on the sofa and suffocate him? Of course, with these anxieties running around my mind all day I was nowhere near relaxed enough to sleep when night came around, and so the vicious cycle continued. I was lying in bed for around six hours each night, my heart racing and my thoughts spinning, until my body eventually gave in and I slept fitfully for between 1-2 hours before I awoke with a jolt, feeling sick and panicked once more. After 6 days of sleeping only an hour or two a night I burst into tears during a group I was attending at my local children’s centre. The staff were incredible, they calmed me as much as possible and called my health visitor. For the next few days she came by to see how I was, she listened to my fears and heard how I still wasn’t sleeping. I took all the usual advice – bath before bed, fresh bedding, read a book etc – but this only made my sleep worse. The pressure to sleep increased my panic and continued the cycle. I was then referred to my local Perinatal Emotional Wellbeing Service (PEWS). This is a fantastic NHS service which, sadly, isn’t available in all Trusts. Fortunately for me, Essex has it and that small team of individuals probably saved my life. Or at least kept me out of hospital. 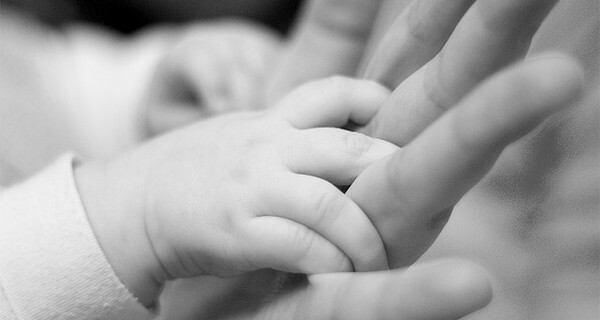 After they assessed me I was diagnosed with Postnatal Depression. I had been desperately hoping there was another explanation but deep down I knew it wasn’t only insomnia, I wasn’t eating or able to think straight either, all triggered by horrendous anxiety. PEWS liaised with my doctor (who was fairly useless, more on that in a future post) and visited me at home twice a week. Under their guidance, I found the courage to begin taking a combination of medication (a sleeping aid, diazapam for short term anxiety relief and eventually, reluctantly, an antidepressant). The medication firstly helped to get my sleep back on track. I was terrified that the sleeping tablets wouldn’t work but 15 mins after taking my first one I succumbed to sleep on the sofa and my husband helped me to bed where I slept solidly for four hours – a vast improvement from how I was. Each night I would fear the tablet wouldn’t work and each night I slept, for an increasing length of time until my sleep patterns were fairly normal again. Despite the improvement in sleep and appetite I was still suffering from anxiety attacks almost constantly. I simply couldn’t function properly. Once the drugs took some effect PEWS sent round their Occupational Therapist who specialised in anxiety management. I still think of this amazing woman as an angel sent to save me. She gave me some basic, CBT-based tools for managing fear which, with lots of hard work and practice, began to improve my mood and functionality. Eventually PEWS were able to discharge me when an appointment with an NHS therapist became available. Again, I was very lucky to see a CBT therapist who had a lot of experience with perinatal mood disorders. One of the most difficult things about this illness is the slow recovery time. In my opinion, medication goes a long way to take the edge off and kickstart your recovery but it can only do so much – therapy is a vital tool for long term recovery. Through therapy I was able to begin to reroute lots of damaging negative thought patterns. Recovery was definitely an accumulative process for me. Medication and therapy bore the brunt but there were many other aspects of “self-care” which were vital to me; good, regular sleep; a decent diet; fresh air and a walk every day if possible; supplements; support from family and friends; mindfulness; books and websites like Anxiety No More. And, critically, online support. Postpartum Progress and other blogs, and Facebook groups such as PPD Chat Support have been so valuable to me. Knowing you aren’t alone can help tremendously. Unfortunately, even with these tools, recovery takes time and patience, which is the biggest challenge of all. I remember being filled with despair when I read how long recovery can take for some people but the important thing to remember is even if full recovery takes months or longer you won’t be in that acute stage the entire time. The real hell was lessened in a matter of weeks for me. After that it becomes manageable, life becomes more bearable. You feel stronger and safer. You might not be thriving but you’re surviving. Parenting is hard and I still feel overwhelmed by it sometimes. I still wonder how I’ll cope. But then I remind myself that I’ve come through the last two years so there’s no reason I can’t keep going, keep striving, keep getting stronger. I also remind myself of all the things experiencing PND has taught me. I know how to deal with unhelpful thinking, I worry considerably less, I don’t sweat the small stuff and I have much more empathy for others. In some ways, I’m stronger. I think I’m probably a nicer, less selfish person. I’m not going to ever pretend PND is anything close to a gift, but there are certainly aspects to my personality and my life which have benefited. My name is Hannah I suffered from post natal depression/anxiety and PTSD. My children are three and seven. I still suffer from anxiety. Sometimes I control it sometimes I can’t. Sometimes I see a light at the end of the tunnel, sometimes I don’t. I’ve had counselling- some has worked, some has not. I struggle with the concept of talking about my postnatal depression because I’m a doula, because there are a lot of people I’ve tried to hide it from, because I feel embarrassed, I feel guilty, and I don’t want to be that negative person everyone has on their friends list. But I’m human, and today is a bad day, so sometimes it’s refreshing to work with the raw emotions and go with it. Today I sat in the bathroom with my partner after the school run and sobbed. I cried about the guilt, the hypothetical situations I might find myself in in the future, the double life I lead, the ‘what ifs?’, the heavy cloud that lives above my head and the realisation that the cloud is a part of me and it will always be there, weighing me down. Nearly 7 years ago I was induced and gave birth to my son, then he turned 3. That’s all I remember. I missed 3 years. I remember parts, but I couldn’t tell you what his first words were, when he first rolled over, what his favourite food was, or what we did together. I feel guilty because when he asks me questions about his first few years I have to lie. I don’t have a book of firsts to show him and I don’t have pictures. I have a grey and hazy memory which seems like a dream, almost like life hadn’t started yet. The memories of nothing haunt me, they makes my gut ache and my throat tighten, I’m close to tears 90% of the time. My anxiety is still here, its a part of me now. I can’t function if there is a background noise, I am paranoid, I am delicate and I’m vulnerable. I need to take each day at a time, but so do most people right? Somehow though, with the help of my family and my partner, I’ve managed to bring up a clever, inquisitive, confident young boy with an endearing and charismatic personality. He is loved by many, including myself, although it may not seem it some days. I would kill for that boy, I know I would. He is my boy, we just have to work a little harder together, which makes our relationship more special. He chose me to grow him and nurture him and thankfully, I haven’t broken him, which is a huge relief. My blog hasn’t been published for self pity, or attention. It’s been published because PND and anxiety happens, because people need to talk about it, and because living with PND doesn’t mean you’re ‘mental’ or ‘unsafe’, it means the balance in your hormones aren’t quite right, or your circumstances aren’t easy. Go easy on yourself and reach out. You’ve ended up in the middle of nowhere and you don’t speak the language, but you’ll pick it up, it takes a while, but you’ll get there. So speak out, you won’t be the only one.